It’s been about two weeks since I last posted here. We have eleven days of summer break left. (But who’s counting?) Next week will be a combination of trying to squeeze out the last little bits of it and tackling a few tasks and appointments that meandered their way on my schedule without asking me first. I have very mixed feelings about waving goodbye to summer. As I type this, I just got Norah down for a nap, Jude is happily stringing beads I got for $7 at Wal-Mart recently which predictably scattered all over my hardwood floors, and my house is embarrassingly cluttered and messy in every single corner. 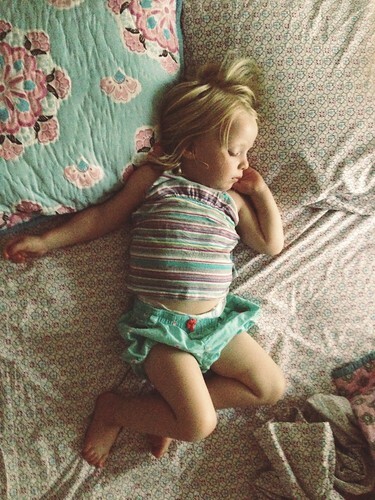 Working outside the home has its challenges, and I will miss leisurely mornings and lazy time with my kids. But I also see them (especially Jude as the older one) craving social time and focused activity, and I am ready for our schedule again. You know summer has run its course when you somewhat look forward to packed lunches again. (In two months I won’t believe I ever said that!) I’m consuming far too much coffee because it’s here for the taking, and staring blankly at the fridge at lunch time seems like a luxury at first, but it never results in something good when you have two kids underfoot and 90 seconds to put something together. Planning and routine and consistency and all of that practical stuff does hold a little comfort. And as much as I hate the shock of August, I love the months to come. September’s change of seasons is always welcome. We’ve had so much fun this summer though. A few memories I’m sharing here from the month of July so that I don’t forget them…..
Making mud pies and lots of backyard play time. 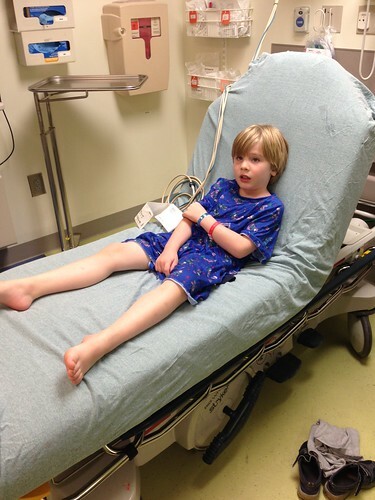 An infected bug bite that landed us in the ER because apparently cellulitis can escalate quickly! A ridiculously strong antibiotic for ten days, and all is fine now. It made for an memorable, if exhausting, evening for Jude and me. Afternoon naps in the oasis of air conditioning. There’s nothing like July in the deep south. 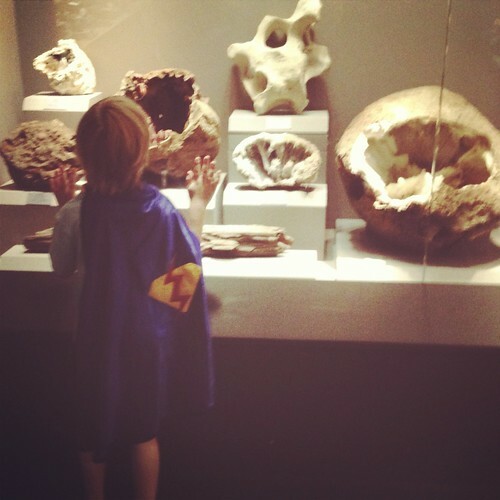 The science museum in a superhero cape. 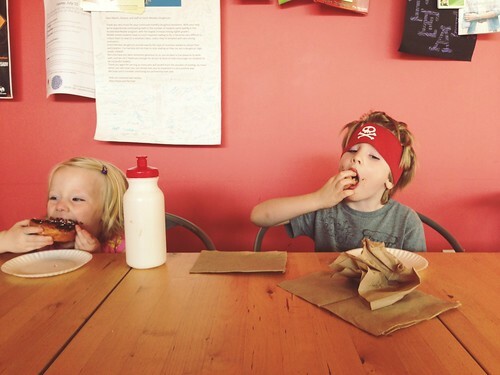 And far too many mornings spent at the donut shop! I have so many other things I want to share, and I hope to write more soon. Enjoy the last bits of summer, wherever it finds you! Previous postSunflowers. And growing pains. I cannot wait for summer to be over. I can’t decide if I like working in the summer or not. On one hand, I hate not having full summer days with the kids, but on the other hand the kids seem to enjoy the structure of school. There are less children and I feel like the kids get almost more love, attention and fun being at daycare. I feel like if I were home I’d do some fun things, but then they’d have to fend for themselves while I cook/clean/do laundry. I feel like I’d have a blast for a few weeks and then I’d be itching to get back to work / structure. Back to school time is my favorite simply for new school supplies. I say that now, but tomorrow is all day school “fashion” shopping with a teenager on a tax free weekend. I may have an introvert meltdown. LOL.